It's Going to Be Sew Much Fun! Click HERE to find out all the information about the Sewrority! If you don't join by this Saturday, you'll have to wait a whole year for the opportunity to save all year long and be one of the M&E Sisters! 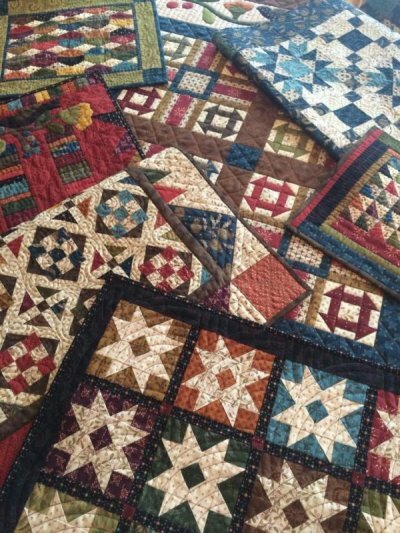 Need Something to Keep You Warm Besides a Quilt? 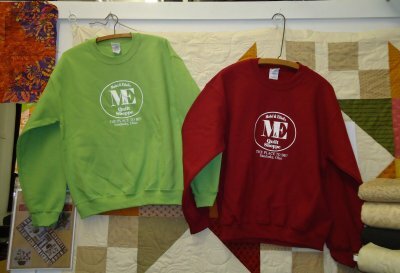 we did for the sweatshirts? 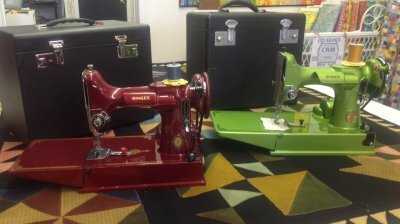 Next Friday Night Featherweight Sewing is March 6th. Call the shoppe today to register if you are coming. now's the time to order. This Special Ends Saturday, February 28th. Also if you didn't see it on Facebook we wanted to share an article that we were lucky enough to be a part of. 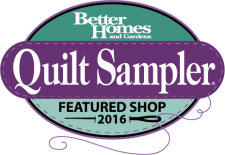 We were featured in the February issue of FabShop News Magazine, which is a magazine for Quilt Shop Owners. 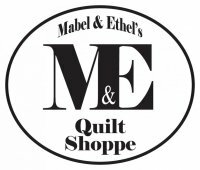 They interviewed us along with a few other quilt shop owners about what we did prior to opening up a quilt shop. They did a really nice job so we wanted to share it with you so you would know how M&E came to be. You can read the article HERE.